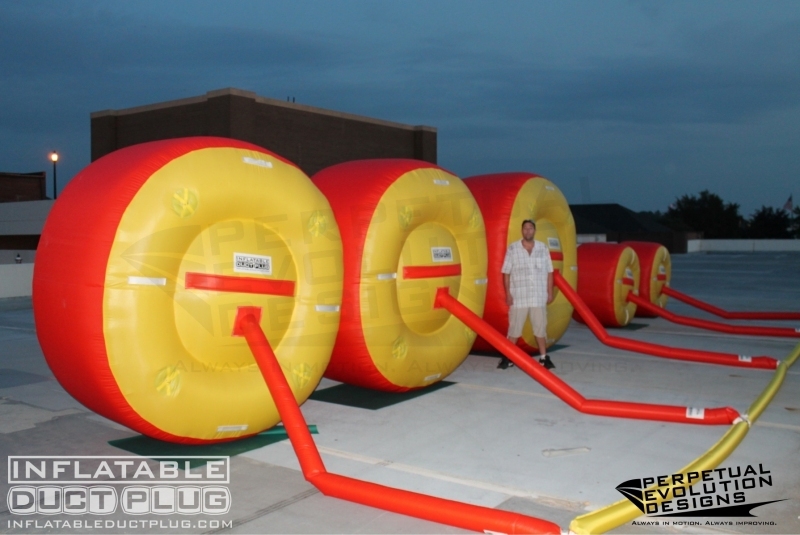 Our product line of sewn, inflatable duct plug structures covers a wide array of applications that call for large areas to be blocked off. The primary focus being in the Combined Cycle Power Supply and Power Generating Industry. Our balloons are custom built with precision for each particular installation. Below are some of the most frequently occurring uses of the Inflatable Duct Plugs product line. We are a manufacturer, not a reseller or representative. This allows our pricing structure to be competitive when compared to other bids. Designing and fabricating technical products for industry has been our focus for years. Our facility also designs and produces safety equipment and analogs that are used in the development of crash avoidance systems in the auto industry. Science is our business, as is creating tangible solutions to industrial sized problems with great attention to the smallest details.